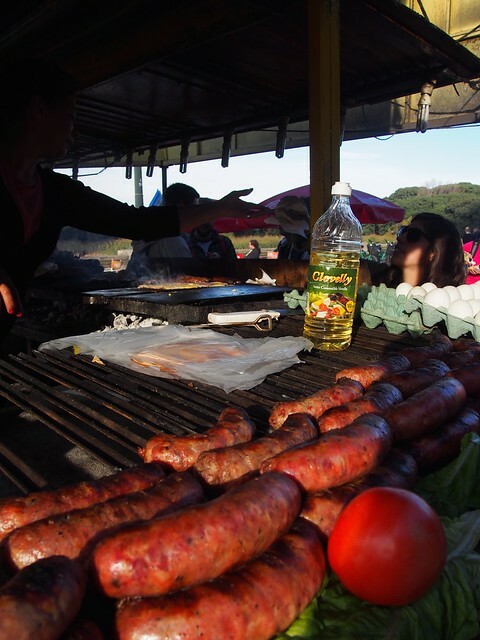 Buenos Aires was the place where we spent the most time in South America (5 nights) and obviously we had quite a few meals there. 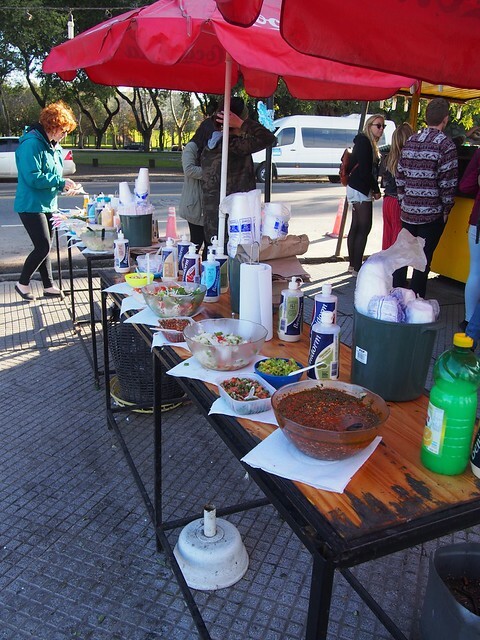 This post documented the stuff that we ate in BA. 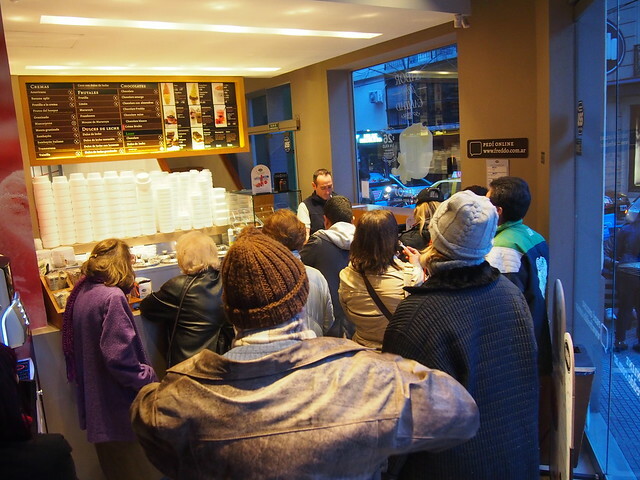 Staying at an accommodation with kitchen facilities and many nearby shops allowed us to self-cater. 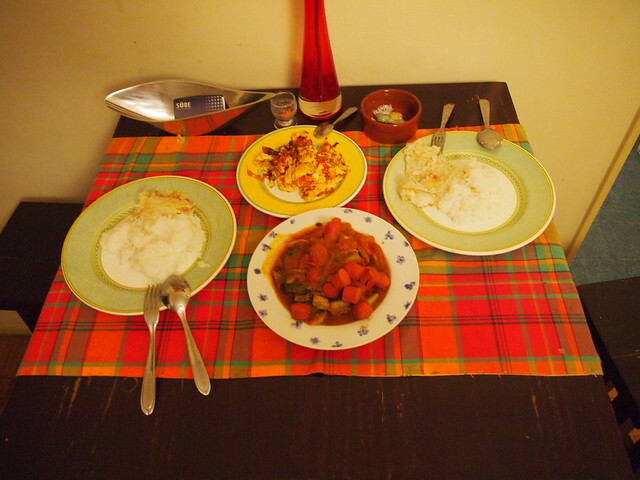 We cooked ourselves two very Singaporean meals when we were there. 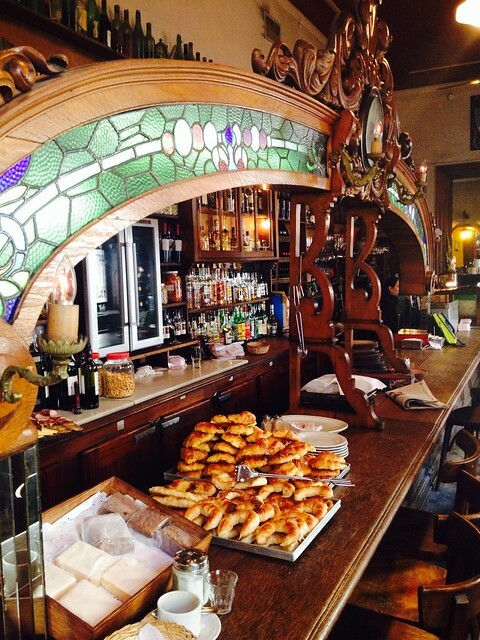 While waiting for our laundry to be washed and dried, we had breakfast at Bar El Federal which was located round the corner where we stayed. Rather atmospheric with ok food. Don’t judge us. We went to a McDonald’s at Palermo thinking that they might have special World Cup merchandise. Turned out that there was nothing. 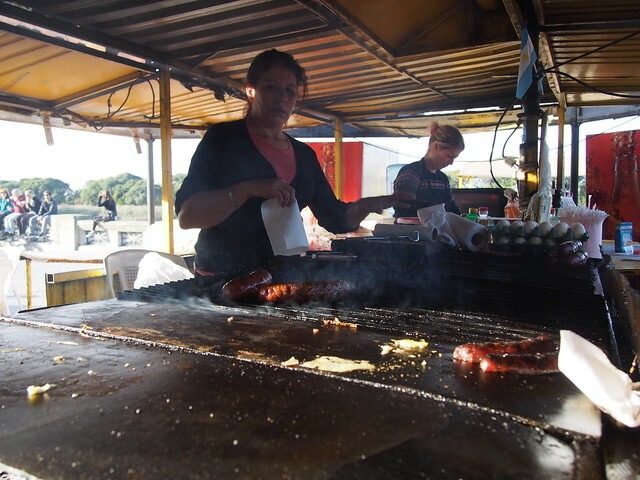 Had a choripan during the bike tour. 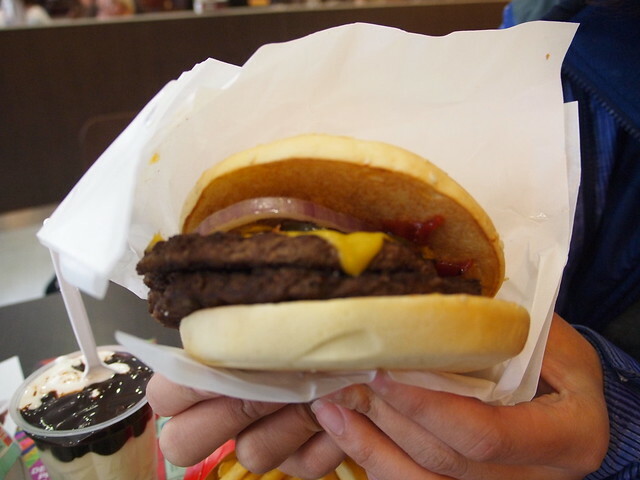 Sustenance for the ride ahead. What’s a visit to BA without going to a parilla? 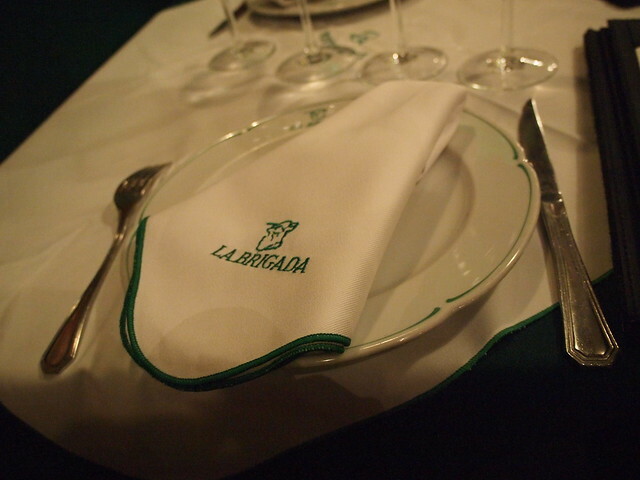 La Brigada was 10 minutes’ walk where we stayed and we decided to try it after the bike tour. It wasn’t opened yet when we reached at 7pm and we had to return an hour later. The locals don’t dine early and we were among the first few diners that night. It would get slightly more crowded later on. 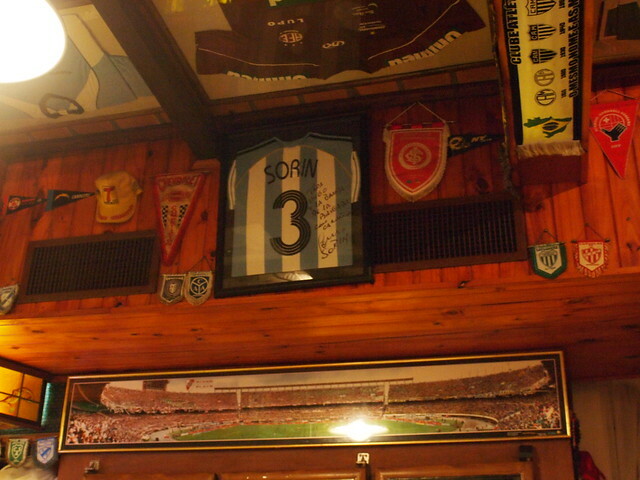 Interestingly the restaurant was decorated with football memorabilia. We ordered a steak and ribs and some sides to share between us. And a bottle of expensive wine (by accident). The service staff actually cut the steak and ribs with a spoon when he served them to us. 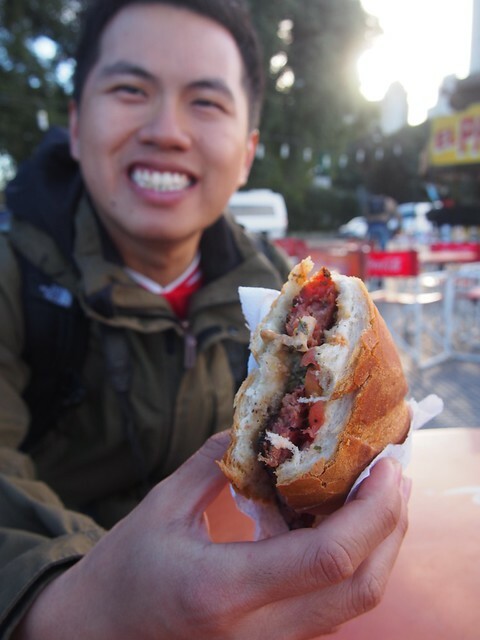 We were impressed at how soft the meats were. 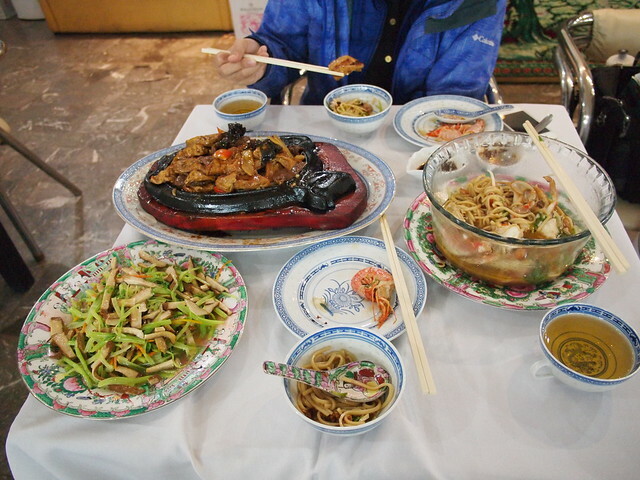 While the meats were cooked perfectly, the portions were too big and we struggled to finish them. 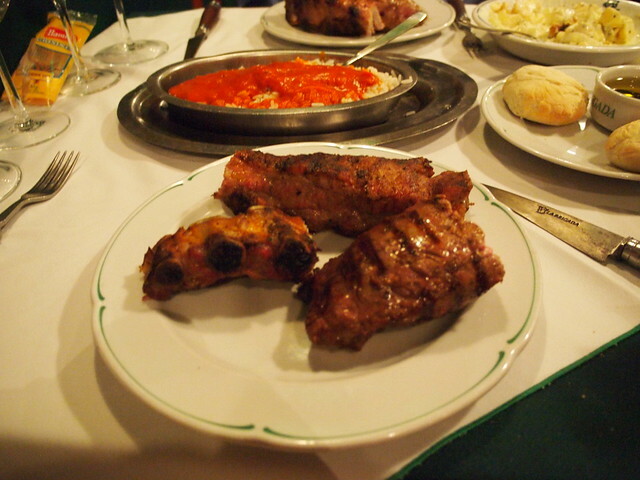 To be honest, we weren’t big on meats but the meal would be perfect for meat lovers. 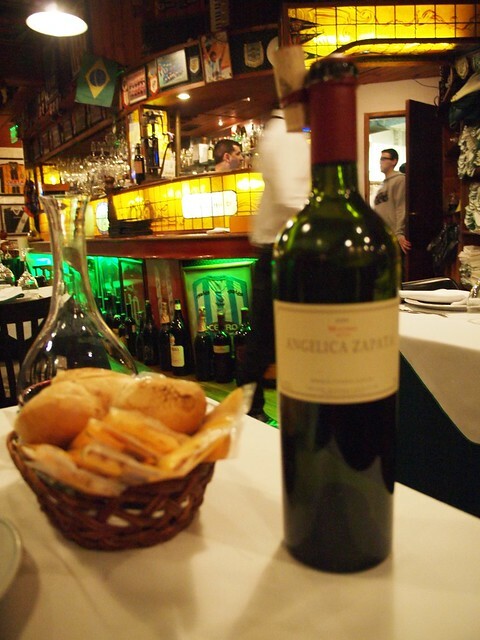 The bill was 1175 ARS inclusive of 10% tips and half of it could be attributed to the wine. 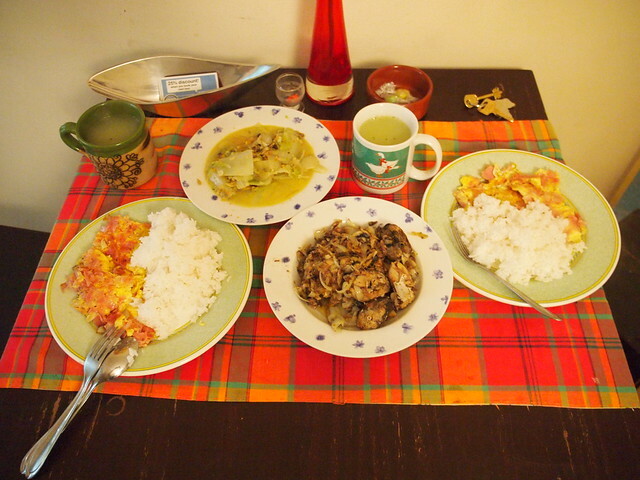 The same meal could easily cost double or triple in Singapore so we weren’t really complaining. On a sidenote, we saw the same bottle of wine at a wine shop the following day and found that La Brigada’s mark-up to be really reasonable (around 100 ARS). 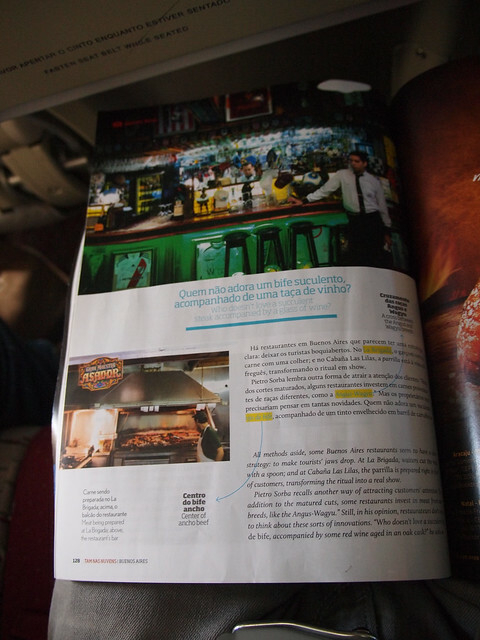 And apparently La Brigada was pretty well-known enough to be featured on TAM’s in-flight magazine. 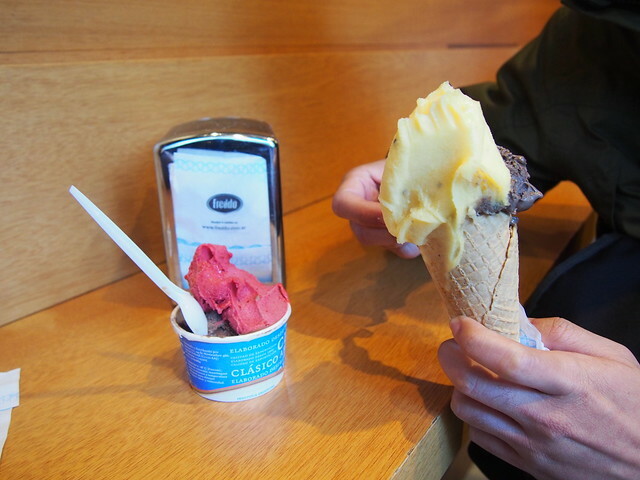 Almost half of all Argentinians are descendants of Italian emigrants and it was no wonder that they produce some very decent gelato (or helado in Spanish). 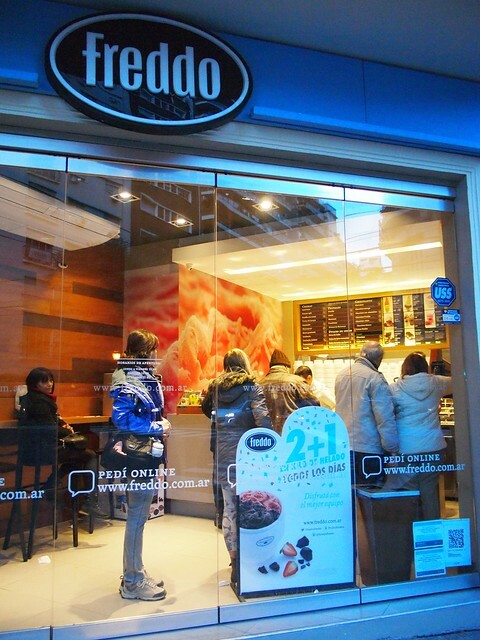 Freddo was one of the more famous shops around and there were many interesting flavours; our favourite were Freddo chocolate and passonfruit. 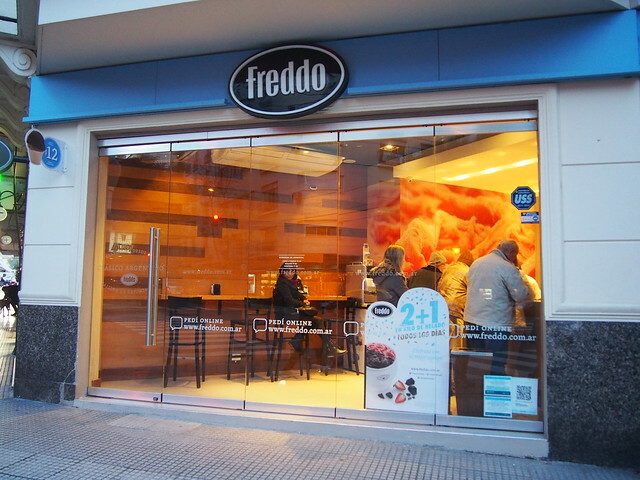 Our downfall was when we discovered that there was a Freddo five minutes’ walk away from our accommodation (Defensa 901). 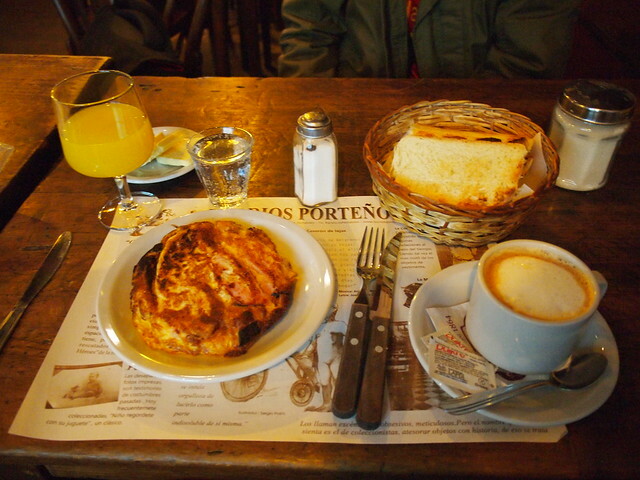 We would have it two days in a row; one after a stroll through San Telmo weekend market and the next day, we told the taxi driver to drop us there after arriving back from Colonia. We discovered that the most economical way would be buying by weight. 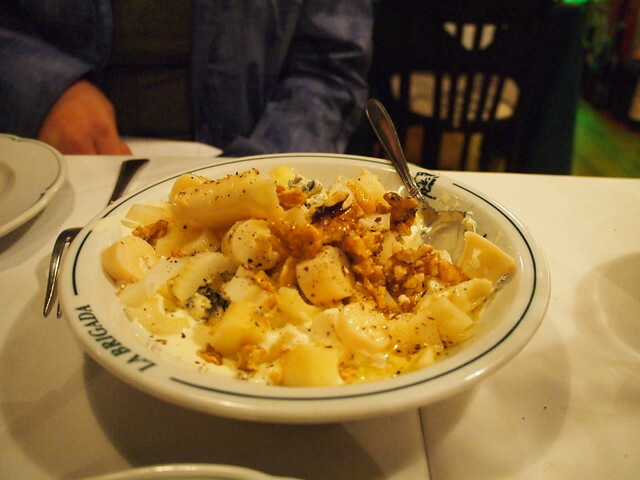 The quarter kilo (49 ARS) portion (any 3 flavours) was perfect for the two of us. After all the beef, we were dying for something more Asian. 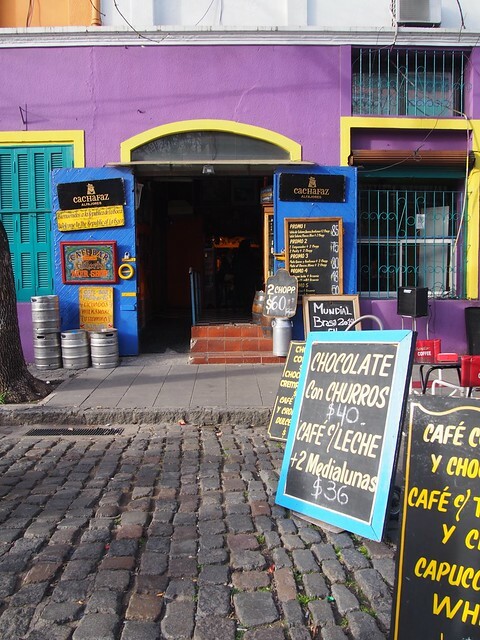 We stumbled upon Casa China on our way to Recoleta. The decor of the place made me feel like we were in China and the boss was pretty friendly. It was more satisfying than the meal at La Brigada but that was probably because of my Asian palate. 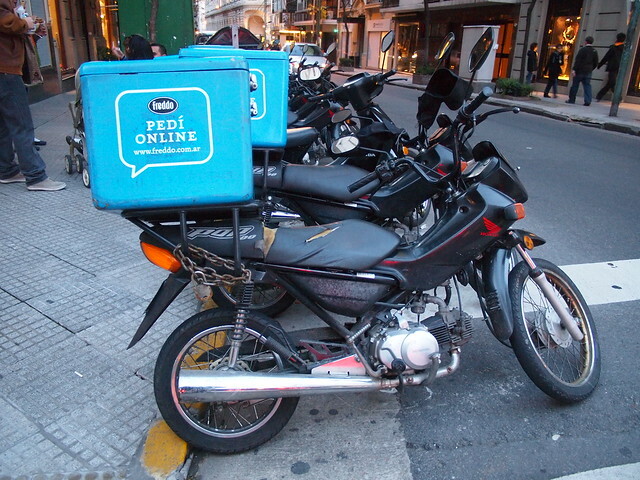 Chit-chatted a little with the boss and her staff and found out that like most Chinese in Argentina, they were originally from Fuzhou. 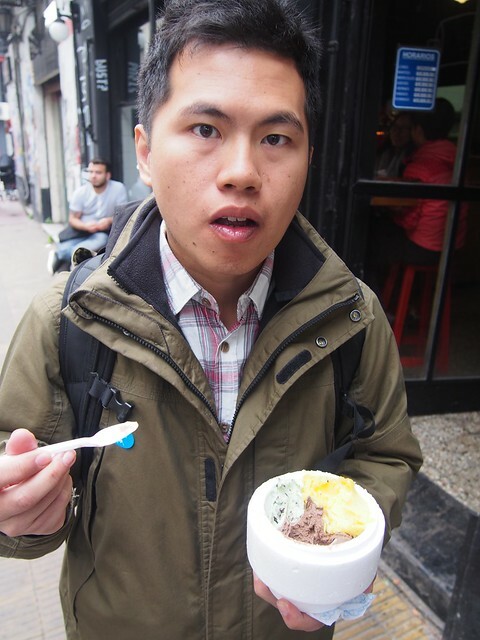 They also offer steamboat for dinner, one could consider visiting it if he/she happens to have a craving for Chinese steamboat in Buenos Aires! Who could say no to churros? 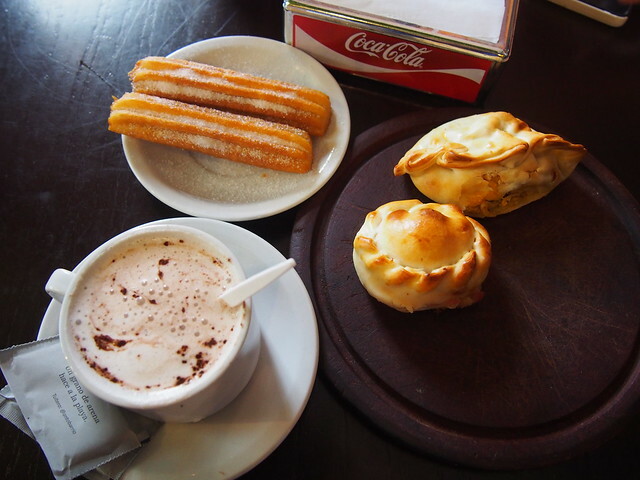 We had some while we went to La Boca for more photos. 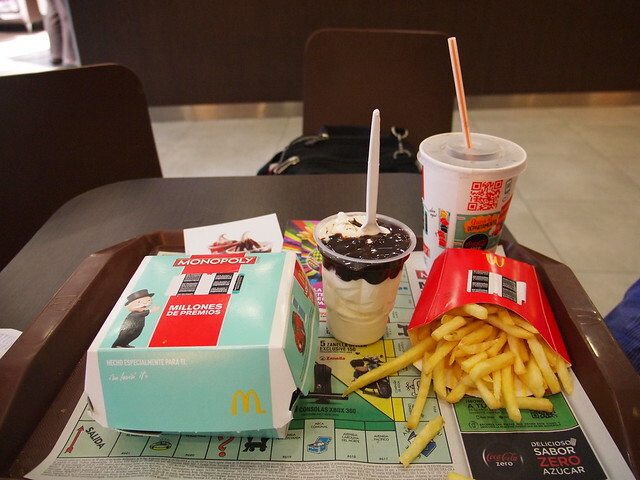 Looking at them made me hungry already. 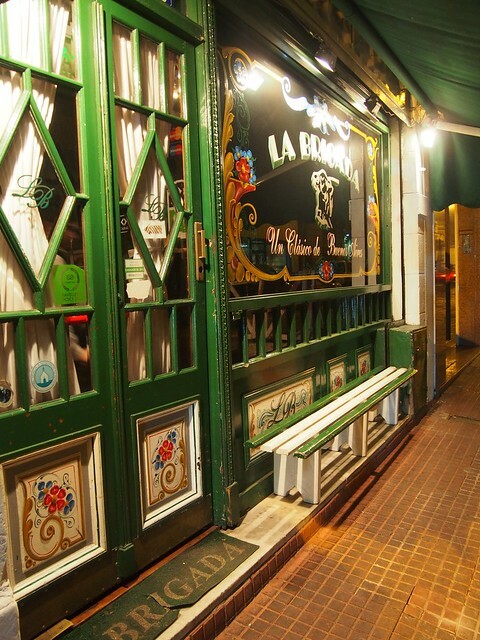 This entry was posted in Argentina and tagged Argentina, Bar El Federal, Buenos Aires, Casa China, Food, Freddo, La Brigada. Bookmark the permalink.